The new Instagram 4.0, available today from the App Store, adds new video capture features to its existing app as a free upgrade. 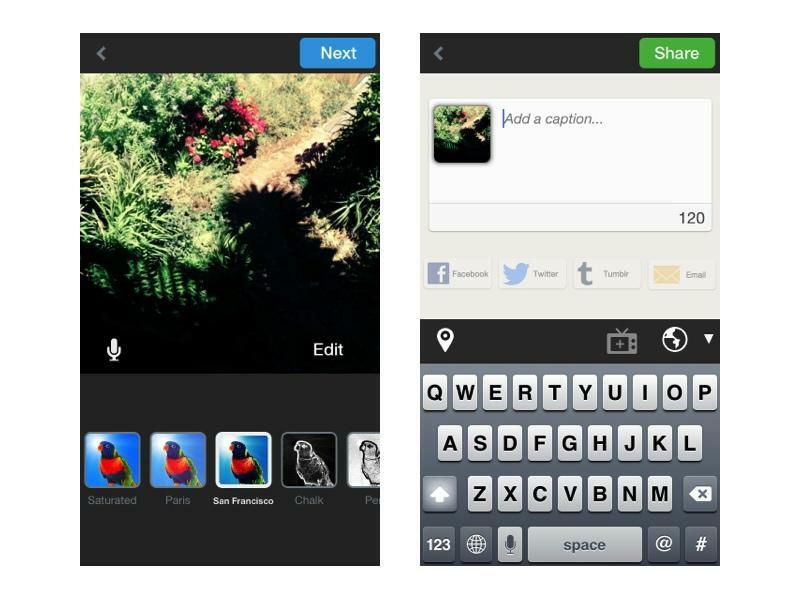 Instagram debuted on iOS in October 2010, and was awarded Apple's iPhone app of the year in 2011. It was ported to Android last year, and Facebook subsequently acquired it last April. Just like Vine, users touch the screen to begin recording individual segments of video. 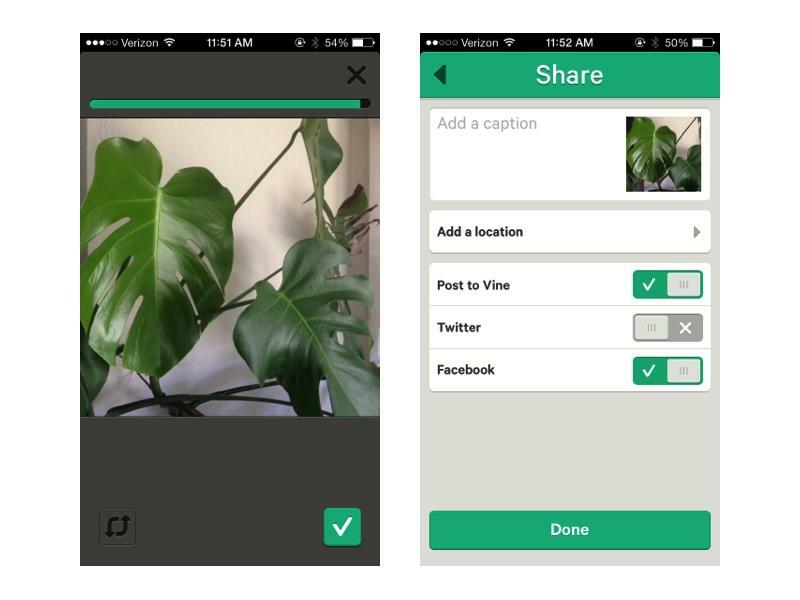 Just like Vine, you can't upload and share video footage you've previously captured. Instagram does continue to let you share your existing still photos, whether captured by iOS' Camera app or saved to your Photos library from another source. 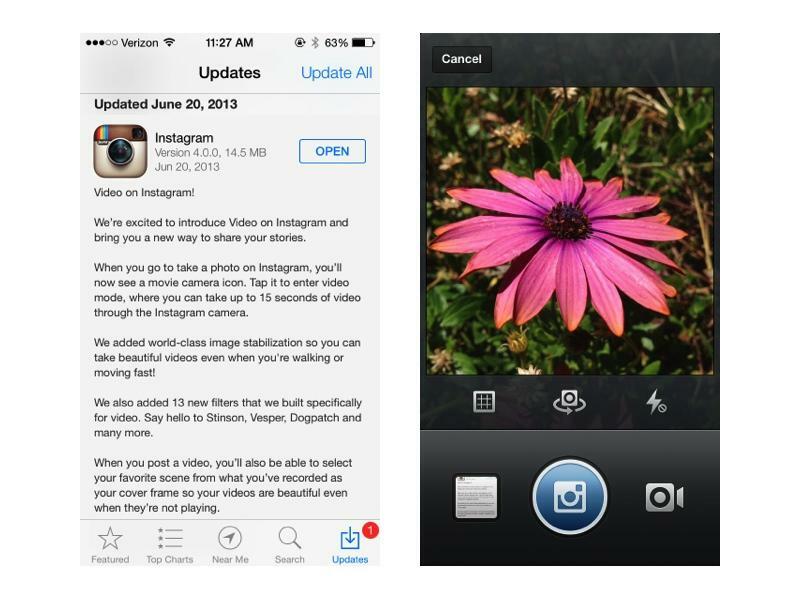 Unlike Vine's six second format, Instagram supports longer videos up to 15 seconds. 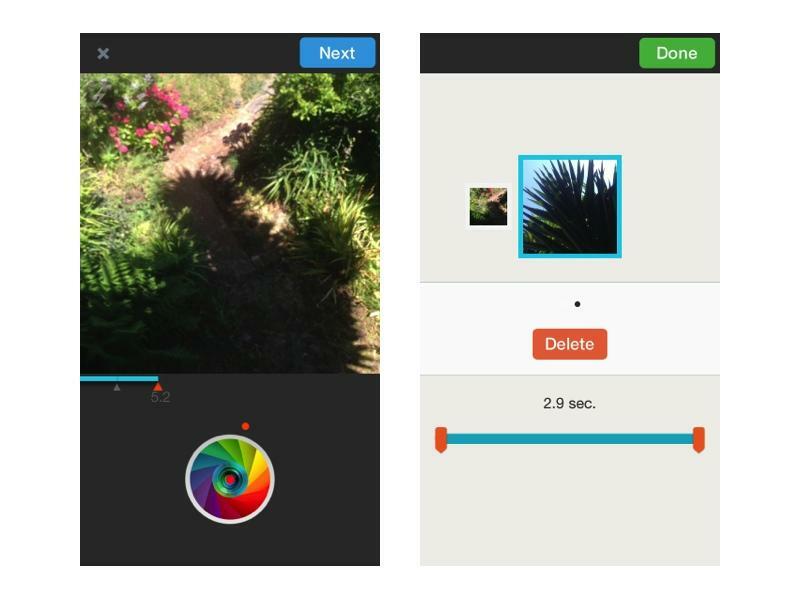 After recording a segment, users can also delete it (below left) and reshoot. Instagram also automatically adds video stabilization when recording on an iPhone 4S or iPhone 5, a feature it calls "Cinema," which can optionally be turned off. 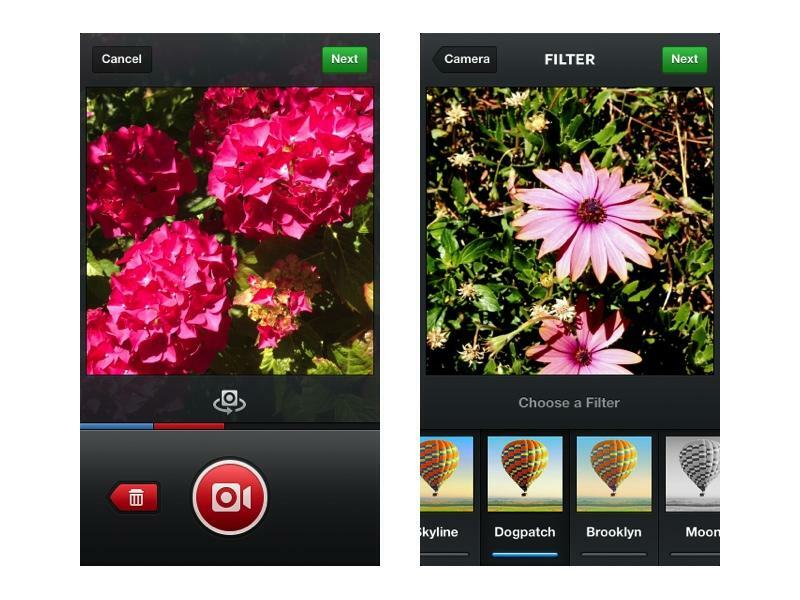 Another feature edge over Vine is Instagram's support for a series of video filters (above right), which work just like Instagram's popular image filters to add character and stylize the captured footage. 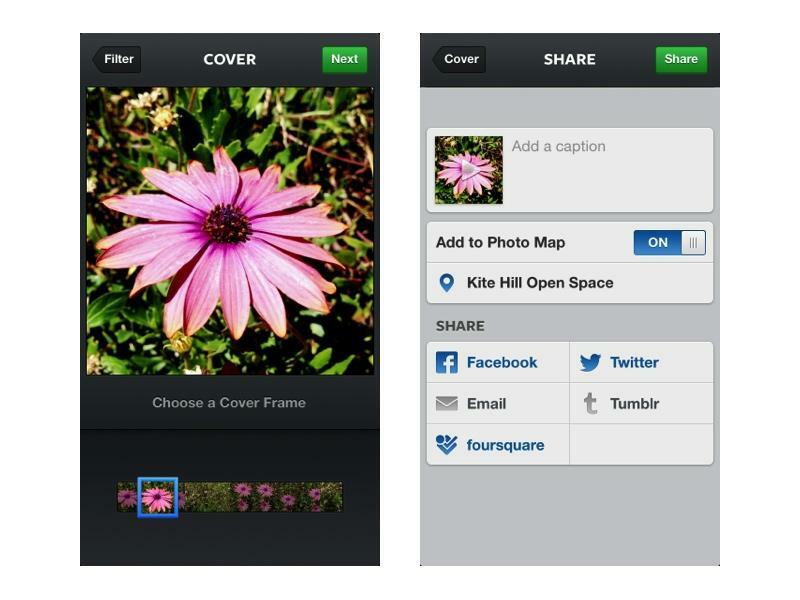 After finishing a video, users select a Cover Frame still, and can add a caption, set its location, and then share it via Facebook, Twitter, Tumblr and Foursquare, just like Instagram has previously shared still images. Twitter's popular Vine app (below), which launched in January after acquiring the Vine team last October, works much the same way but with fewer bells and whistles. Vine was initially included in Apple's App Store Featured content and made an Editor's Choice, but was later removed from the spotlight when the social video site was associated with delivering pornographic clips. The circus of attention didn't hurt, as Vine is currently the third most popular free App Store title in the U.S.
Twitter and Facebook aren't alone in the "tap to capture" app business. Apple has also recently featured Lightt, an independent video sharing app that works similar to Vine, but adds some additional features adopted by Instagram. Lightt lets users capture up to 60 seconds of video, and offers to apply one of fewer filters (7), but presents a more diverse and stylized selection. It also lets users share to Facebook, Twitter or Tumblr in addition to Lightt's own service, and also defines channels for sharing videos, either publicly to a private online repository. Google provides its own YouTube Capture app for sharing videos to its own service, and Apple's iOS 7 Photos app will also add new video sharing features that enable sharing videos to iCloud Photo Stream feeds, Facebook, Vimeo, YouTube, as well as wireless AirPlay and AirDrop support.